Obx Labs is interested in living letterforms, massively multi-contributor texts and time-travelling provocateurs. We create artwork that utilizes and motivates the software that we develop and the technologies we repurpose. Our main goal is to provide both the inspiration and the means for others to push the boundaries of computationally-based expression. ason Edward Lewis is a digital media poet, artist, and software designer. He founded Obx Laboratory for Experimental Media, where he directs research/creation projects exploring computation as a creative and cultural material. 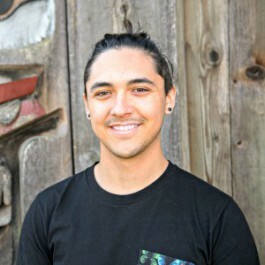 Along with the artist Skawennati, he co-directs Aboriginal Territories in Cyberspace, Skins Workshops on Aboriginal Stortyelling and Video Game Design and the Initiative for Indigenous Futures. Lewis is deeply committed to developing intriguing new forms of expression by working on conceptual, critical, creative and technical levels simultaneously. He is the Concordia University Research Chair in Computational Media and the Indigenous Future Imaginary as well as Professor of Computation Arts at Concordia University, Montreal. Born and raised in northern California, Lewis is Cherokee, Hawaiian and Samoan. 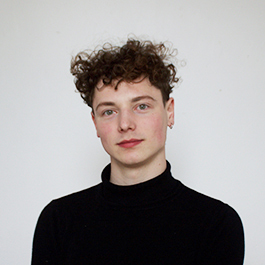 Lewis' research interests include emergent media theory and history, and methodologies for conducting art-led technology research. Lewis' creative work has been featured at Ars Electronica, Mobilefest, Elektra, Urban Screens, ISEA, SIGGRAPH, and FILE, among other venues, and has been recognized with the inaugural Robert Coover Award for Best Work of Electronic Literature, a Prix Ars Electronica Honorable Mention, several imagineNATIVE Best New Media awards and six solo exhibitions. 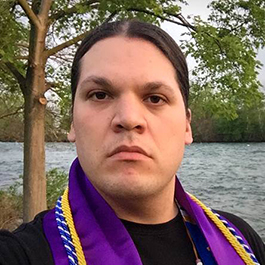 He's the author or co-author of chapters in collected editions covering mobile media, video game design, machinima and experimental pedagogy with Indigenous communities, as well as numerous journal articles and conference papers. 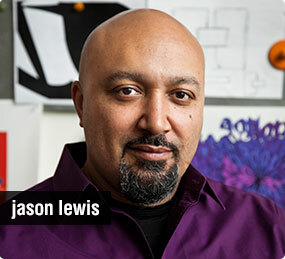 Lewis has worked in a range of industrial research settings, including Interval Research, US West's Advanced Technology Group, and the Institute for Research on Learning, and, at the turn of the century, he founded and ran a research studio for the venture capital firm Arts Alliance. Lewis is a former Trudeau Fellow and a former Carnegie Fellow. He received a B.S. in Symbolic Systems (Cognitive Science) and B.A. in German Studies (Philosophy) from Stanford University, and an M.Phil. in Design from the Royal College of Art. Focus: language-based online digital art. Combinatorial poetics, multimedia poetry. Currently, developing works that feature typographic experiments built through a synthesis of Flash, Mudbox, Vegas, Ableton Suite and Mr. Softie. Working and exhibiting with, among others: FILE (2004-2009), Champ Libre, Bioteknica, Turbulence.org, Ollivier Dyens, OBX, TML and Oboro. 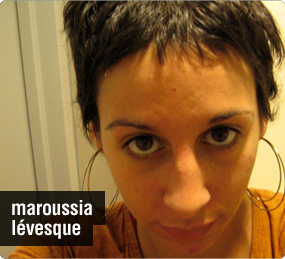 Exhibited at 3 new media Biennales: Montreal ’09 & ’03 & Toronto ’04. 2009. Doctoral candidate at Concordia University affiliated with OBX. 2004. Concordia University. Bachelor of Computer Science, minor in Digital Image and Sound. Ellyn Walker is a writer and curator currently based in Toronto. Born and raised on Anishinaabe, Haudenosaunee and Wendat land, Ellyn is a settler of Scottish and Italian ancestry whose work focuses on representations of resistance, reimagination and reconciliation between Indigenous and non-Indigenous histories. Ellyn’s writing has been published in the Journal of Curatorial Studies, PUBLIC, Prefix Photo, FUSE and C magazine, among others places. 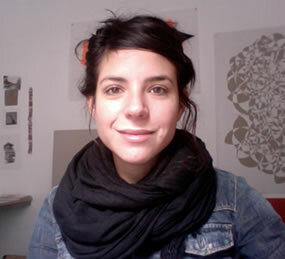 Her curatorial projects have been presented by the Art Gallery of Ontario, Prefix ICA and imagineNATIVE. 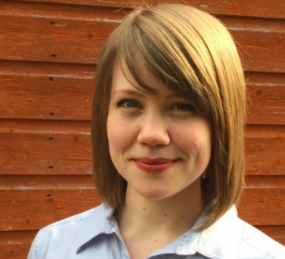 Ellyn is currently the Curatorial Fellow at Charles Street Video. Gabe is Wampanoag of mixed heritage from Nova Scotia, and grew up in Newfoundland, where she has close ties to the Mi’kmaq community. She is a traditional drummer and artist, and is passionate about critical heritage and museum studies. Since arriving in Oxford, she has co-founded the social enterprise TalkAbout, aimed at connecting communities with one another through heritage, and the Oxford Indigenous Student Initiative, providing a network for Indigenous students and visiting scholars. Her doctoral research focuses on Indigenous internet communities, digital culture, video games and intellectual property law. Kristina Baudemann is a literary scholar, PhD student and instructor at the University of Flensburg in Germany. She is currently writing her dissertation that is tentatively titled “Signifying Future: Representation and the Future Imaginary in Indigenous North American Literature and New Media.” Kristina has contributed to the Extrapolation special issue on Indigenous Futurism (edited by Grace Dillon, John Rieder, and Michael Levy) and to The Fictions of Stephen Graham Jones: A Critical Companion. Forthcoming publications include articles in the peer-review journals SAIL (Studies in American Indian Literatures) and Open Library of Humanities (special issue on Utopia at the Border), and an edited collection titled Beyond Karl May: Teaching Native Literatures and Cultures in Europe (with Birgit Däwes). Kristina has presented her work at international conferences. She was a Fulbright fellow at the University of Arizona in Tucson in 2014 and has been awarded travel grants from the German Academic Exchange Service (DAAD) and the Association for Canadian Studies in German-Speaking Countries (GKS). 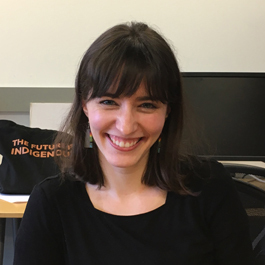 Kristina’s research interests include Indigenous North American visual arts, literatures and new media with a special focus on Indigenous futurisms. She is also interested in science fiction and speculative fiction, the monstrous and (new) weird, utopian studies, postcolonial studies, postmodern culture, and poststructuralist studies. Photo credit: Dion Smith-Dokkie. 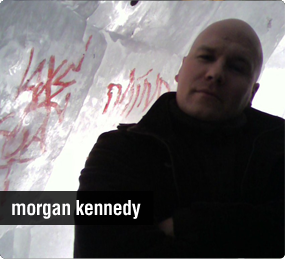 Morgan Kennedy is a digital games researcher, writer, and former volunteer firefighter. His research and writing focuses on the social and business aspects of the videogame industry. He completed his Bachelor’s Degree in Social Marketing at Hampshire College in Amherst, Massachussetts and recently finished a Graduate Certificate in Digital Design at Concordia University in Montreal, Quebec. Currently he is a researcher at Obx Labs and coordinator for the new Technoculture, Art and Games initiative at Hexagram-Concordia. Scott Benesiinaabandan is Anishinabe artist who works in digital imagery, printmaking and video, among other media. Benesiinaabandan obtained a BA in Psychology and Religious Studies from The University of Winnipeg (2002) and has completed mentorships and with Manitoba Printmakers Association (Martha Street Studio) and Aboriginal Film Training. During the summer of 2010, Benesiinaabandan also carried out international residencies and projects at Context Gallery in Derry, Ireland, with the Roma at Appleby’s Horse Fair and most recently with the Canada Council for the Arts Exchange Canada/Parramatta, Aus. In the past four years, Benesiinaabandan has been awarded grants from the Manitoba Arts Council, the Winnipeg Arts Council and Canada Council for his artistic work. Benesiinaabandan has taken part in several group exhibitions across Canada and in the United States, most notably in Flatter the land, Bigger the Ruckus, Harbourfront Centre (2006), Subconscious City at the Winnipeg Art Gallery in 2008, unSacred at G1C03( 2011) and Mii Omaa Ayaad at Parramatta Artist Studios in Syndey, Australia( 2012). 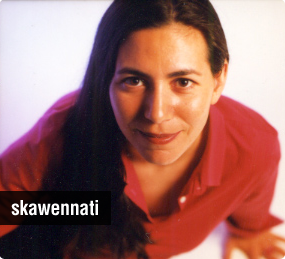 Recipient of the 2011 Eiteljorg Contemporary Art Fellowship, Skawennati is recognized as a pioneering New Media artist. Her art, addressing history, the future, and change, has been widely exhibited across Canada, the United States and Australia. Best-known works include: CyberPowWow (1997-2004), the Aboriginally-determined, on-line gallery and chat space; Imagining Indians in the 25th Century (2001), a web-based paper doll/time-travel journal; and her current production, TimeTraveller™ (2008- ), a multi-platform project featuring nine short machinima episodes, a series of digital prints, and a 3D print, Hunter Mega-Figurine. Its website, www.TimeTravellerTM.com, won imagineNative’s 2009 Best New Media Award. A founding member of the First Nations artist collective, Nation to Nation, she has been active in the Artist-Run Network and sat on the board at Galerie Oboro. She has contributed texts to a wide range of publications including a chapter in the upcoming book Community-Based Multiliteracies and Digital Media Projects: Questioning Assumptions and Exploring Realities and an article in the Canadian Journal of Communication – Media Arts Revisited. 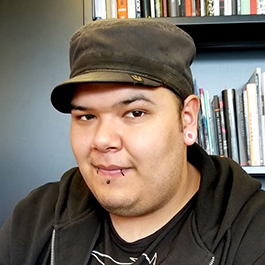 Skawennati is Co-Director, with Jason E. Lewis, of Aboriginal Territories in Cyberspace, (AbTeC) a network of artists and academics who are investigating and creating Aboriginal virtual environments. She holds a BFA from Concordia University in Montreal. Please visit www.skawennati.com to learn more. Maize Longboat is Mohawk from Six Nations of the Grand River in Ontario and was raised in the unceded traditional Coast Salish territory near Vancouver, BC. He is currently pursuing his MA in Media Studies with the Department of Communications at Concordia University where he is required to complete a research-creation project as part of his thesis work. Maize completed several research projects during his undergraduate studies at the University of British Columbia, including a research practicum with an independent, artist-run gallery that allowed him to explore how creative practice and expression relates to the growth of Vancouver's emerging artists' Indigenous identities. Maize's present research focus includes the utilization of video games by Indigenous peoples and is thrilled to be a part of this cutting-edge lab. 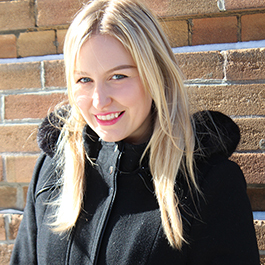 Mikhel Proulx researches contemporary art and digital cultures. His research considers Queer and Indigenous artists working with networked media, and he has curated exhibitions across Canada, Europe, and the Middle East. Mikhel is a PhD student and faculty member in the department of Art History at Concordia University. 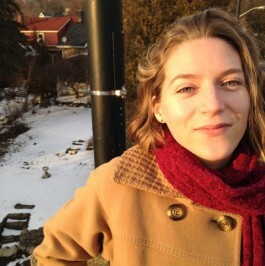 Sara England is an emerging curator and researcher with a focus on histories of the built environment. She is an MA candidate in Concordia University’s Art History Department and holds a BFA in Criticism and Curatorial Practice from OCAD University. 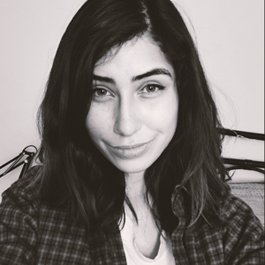 In addition to this, Sara is part of KAPSULA Magazine [http://kapsula.ca], a digital publication and online platform for critical and experimental writing. 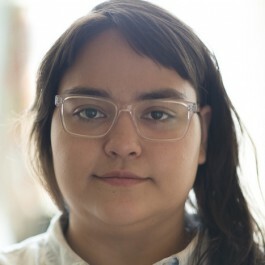 Suzanne Kite is an Oglala Lakota performance artist, visual artist, and composer from Los Angeles, with a BFA from CalArts in music composition, an MFA from Bard College’s Milton Avery Graduate School, and is a PhD candidate at Concordia University. Recently, Kite has been developing a body interface for movement performances, carbon fiber sculptures, immersive video & sound installations, and has recently launched the experimental electronic imprint, Unheard Records. 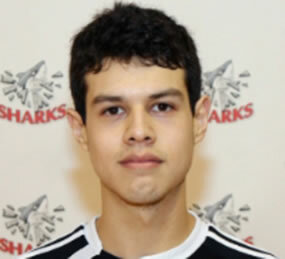 Darian Jacobs is a Mohawk student from Kahnawake. She is currently in her second year of Concordia University's Creative Writing program. She was a participant in the Skins 4.0 program. She has a love for writing and art and hopes to continue exploring both passions going forward. Dion Smith-Dokkie is a visual artist and painter based in Montreal. He is a member of West Moberly First Nations, located in northeastern British Columbia, and is currently pursuing a BFA in Painting and Drawing at Concordia. He holds a BA in Women's Studies from the University of Victoria. He is interested in environmental futures, interpersonal/interspecies communication, science fiction and self-representation. Emma Forgues is a visual artist based in Montreal. 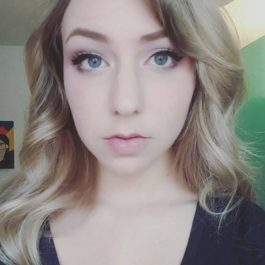 She’s an undergraduate student pursuing a BFA in Computation Arts at Concordia University. She also works as a videographer. Her research and creation processes revolve around the uncanniness arising from the junction of the real and virtual worlds. She explores the innovations of technology and its social impact through video, sound, coding, audiovisual and performance projects. She believes that these tools are great vectors of communication and dissemination. Lucas LaRochelle is a multidisciplinary designer, artist, and researcher using their work as a tool to both critique contemporary culture and explore tangible alternatives. Their work uses digital media, graphic design, clothing and wearable technology as a means of examining and manipulating the interactions between the (queer) body, technology and the built environment. They received a certificate in Co-Design from the Utrecht University of Applied Sciences in 2016, and are currently completing their BFA in Design and Computation Arts at Concordia University. Their project, Queering The Map, received an Honorary Mention for the 2018 Prix Ars Electronica and was longlisted for the Lumen Prize for Digital Art and the Kantar Information is Beautiful Awards. Their work has been featured on CityLab, CBC Arts, Broadly, AIGA Eye On Design, I-D, Paper, INTO, Yorokobu, Numerama, and Project Myopia amongst others. Their work and writing has been published in Échelles, Perfect Strangers and Accent. Raymond is an illustrator and animator who loves creating animated films. He enjoys exploring various artistic media and wants to pursue a career as an animator. His first film, In Your Heart, was awarded Best Experimental Film at the Winnipeg Aboriginal Film Festival as well as the Best Animated Film at the Arlington International Film Festival. Valerie is a second year undergraduate student in the Specialization in Computation Arts program at Concordia. She has a DEC in Graphic Design from Dawson College, and has experience in the field of design in creative to corporate settings. As Associate Producer at AbTeC, Nancy contributes in some way to every project being considered. She assists in 3D artwork, compositing effects, video editing, general project management and is even happy to provide coffee once in a while if the staff is feeling down. With a BFA in Computation Arts, she previously worked as research assistant at three Concordia media labs until graduation and then ventured out into International Relocation Consulting, followed by freelance video editing and eventually project management at Minority Media. She has returned to AbTeC as a now seasoned professional, eager to exercise her creative side once more. 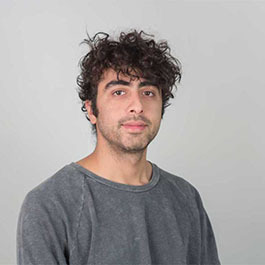 Since his years at OCAD studying Environmental Design, Nima Navab has become increasingly focused on spatial design, and more specifically, examining the role of art and technology in enhancing both intimate and large-scale public interactions. Through a variety of mediums and means, Nima investigates the various roles humans play in shaping both the ecological, political and sensorial landscapes of our built environment. His increased attention to everyday spatial interactions has brought to light the importance of field research, discussion and collaboration with those occupying the space as well as the space itself, highlighting the importance of spatial experience and theoretical research, both which continue to form the basis of his creative process. 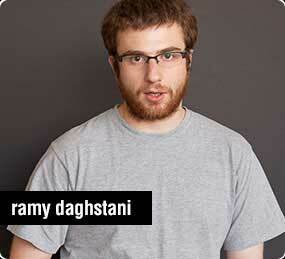 He is a research associate at the Topological Media Lab. Education M.Comp.Sc., Concordia University ('13) B.Comp.Sc. Honours Computer Applications, Major Computation Arts ('09) With a background in theatre and multi-media along with aspirations for a more formal education, Sabine Rosenberg completed the double-major program in Computation Arts and Computer Science (B.Comp.Sc.,'09) at Concordia University. Sabine went on to complete a Masters of Computer Science in 2013 with a focus in Natural Language Processing. While pursuing her graduate studies, Sabine was also a Research Assistant in the Computational Linguistics Lab at Concordia University. Tam Vu (b. 1989, Quebec City) is a first generation Vietnamese Canadian. He graduated in Design at Concordia University in Montreal, Canada. His research interests include digital nostalgia, digital space, and internet radio. He is currently working and living in Montreal. Bruno graduated with a M.S. in Computer Science from the Arts Computation Engineering (ACE) program at UC Irvine, and received a B.Sc. in Computer Science with a concentration on Computation Arts at Concordia University in Montréal. 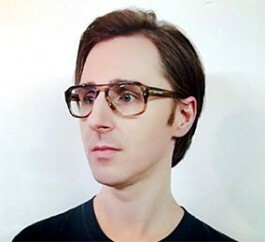 During his studies, he created interactive installations that exploit and question the use of the body for human-computer interaction, leading to his current research which focuses on tangible computing. My name is Jeremy Juan Alvarez. I am a Mohawk Native American from the Saint Regis Mohawk Territory in Akwesasne New York. I graduated from Salmon River Central High School in Fort Covington New York. I then graduated from St. Lawrence College in Cornwall Ontario, from the Game Development Technician Program. I am currently employed at the Akwesasne Mohawk Casino, as a Network Specialist. I have always had a strong interest and desire to create and play video games. Video Games have always been a part of life. Some of my earliest memories are with a NES controller in my hands playing games like Mario Bros. or Crystalis. While at school I created a number of video games for use on PC, Xbox 360, and iOS and learned to code using languages, such as C++, C#, and Objective C. I learned some scripting with Python, and Lua. I also learned to create and maintain web pages using HTML and CSS. We even went through database creation and maintenance, using MySQL, and PHP for web applications. Other than playing video games, I love playing soccer, and enjoy exercising. Ruben Farrus is an independent videogame creative director with 8 years of experience developing ideas from conception to final release.He has worked in companies such as Electronic Arts, Eidos and more recently independent studio Minority Media Inc. He was game designer on the award-winning Papo & Yo and led development of Minority’s follow-up empathy game, Spirits of Spring. His latest collaboration was J’aime les patates, a narrative game about social innovation by documentarist Vali Fugulin and the National Film Board of Canada.During this time he has pitched to Sony, Microsoft, Ubisoft, Apple, Amazon and the CMF, and he has delivered talks at MIGS Montreal and spoken at conferences in Mexico, Colombia, and the IGDA's Montreal chapter.He is currently working on a new project for virtual reality devices. Tehoniehtathe Delisle graduated from Kahnawake Survival School and is currently a student at Champlain College St. Lambert, in the Film/Video/Communications program. He was involved in the first Skins workshop as Lead Designer, where the video game “Otsi: Rise of the Kanien’kehá:ka” was developed. Worked as a mentor for Skins 2.0 in summer of 2011 and helped designed the audio layout of the game. Has experience with storytelling, video editing, many computer programs like Blender, UDK, Photoshop, Autodesk Maya, Unity, Final Cut, iMovie and Audacity. Computational artist, he is currently exploring the boundaries of the visual and textual. He graduated from Concordia University with a Bachelor in Computer Science, major in Digital Imaging & Sound of the Fine Arts. 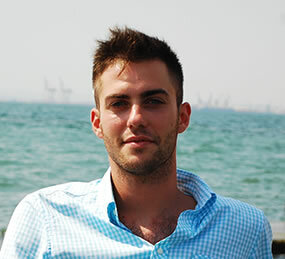 Starting in August 2004, he will be experiencing South-East Asia and considering the possibilities of a Master Degree. I am a graduate student pursuing a Master of Environment degree from the Geography Planning and Environment department in Concordia University. My work's focus centered on environmental changes to the environment on a local and global scale. My Honours thesis had focused on understanding environmental changes in northern Cree communities. I had taught grade 10 level 4 science to Aboriginal students in Winnipeg and Montreal and participated in volunteer activities to help plant indigenous plants/trees on Mont Royal through the organization Les Amis de la Montagne as well as help to facilitate workshops within secondary schools for “Let's Talk Science” in 2014. As a first Nations activist I strive towards helping others openly question and realize objectives we need to change around us. 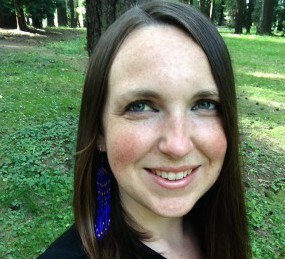 Camille Georgeson-Usher is an emerging Coast Salish/Dene/Scottish scholar from Galiano Island, BC. 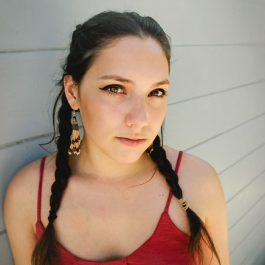 She is currently pursuing an MA in Art History at Concordia University with research focusing on Indigenous community based artistic practice and research methodologies, largely forming her own exploration as an Indigenous woman guiding her Indigenous body through structural and conceptual colonial spaces. Both her research and artistic practice works through ideas of urban Indigenous identity rooted in melding together street art and hip hop culture, Indigeneity, and community. In addition to this, she currently holds the position as exhibitions, press and interns co-manager at the SBC Gallery of Contemporary Art in Montreal. Daria Khomyakova has an Informational Design background. She received her Bachelor Degree in State Polytechnical University of St. Petersburg, Russia. Recently graduated from Concordia University, Montreal, where studied Digital Technologies in Design Art Practice. Has a broad range of interests in the design sphere, starting from 2D graphic design and photography, and continuing with creating video games. Overall, has a strong interest to life itself and all the processes, which happen within and around. Currently works as a research assistant at Obx Labs, participating in the Skins 4.0 Workshop project. Jasmin Winter is joining IIF for a field placement to complete her Master’s in Development Practice program at the University of Winnipeg. Her research has explored more nuanced, self-determining models of technological development in different communities, and has more recently focused in on Indigenous engagements with and within virtual landscapes. Jasmin has not been back to Montreal since completing her undergraduate degree at McGill, and is excited to immerse herself in such an innovative lab at Concordia. 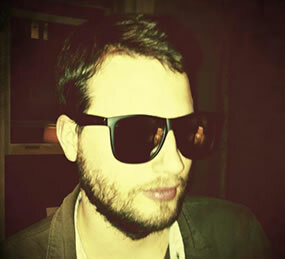 Joachim Despland is an independent game designer and computer scientist who enjoys working on creative projects, solving interesting problems, experimenting with interactive technology, and figuring things out. 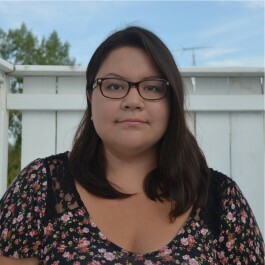 Lindsay Nixon is a nehiyaw-saulteaux-Métis curator, writer, community organizer, and MA candidate in Concordia University’s art history department. They are the co-founder of the Indigenous Arts Council, and the Black Indigenous Harm Alliance. Nixon’s writing has appeared in Malahat Review, Room, GUTS, Briarpatch, and other publications. They currently hold the position of Indigenous Editor at Large for Canadian Art magazine. 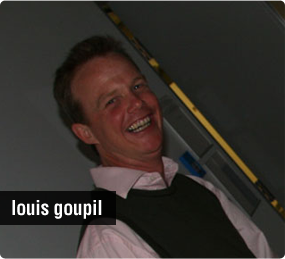 Louis Goupille was born and raised on the island of Mauritius, in the Indian Ocean. 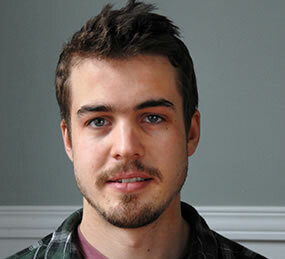 A landscape artist, he studied literature and currently lives and works in Montreal. His practice has been centrally concerned with how memory and the imagination operate as components of the individual identity. 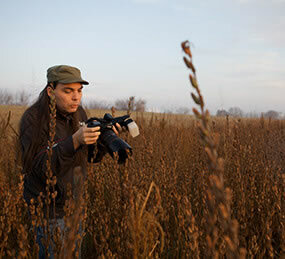 His current work and research extends his practice into computer graphics and the interactive media in order to evoke representations of the natural landscape seen through a virtual lens. Issu d’une famille établie dans les iles depuis plusieurs générations, Louis Goupille à passé son enfance à l’ile Maurice, dans l’Océan Indien. Il a fait des études littéraires et est peintre paysagiste à Montréal ou il vit et travaille actuellement. Ses sujets d’intérét courants sont: la mémoire, l’imaginaire et l’identité personnelle. Sa recherche et son travail explorent ces idées qui sont traitées au travers de la représentation de la nature avec des images graphiques dans un environnement virtuel. Meredith Davey holds a BSc(hons) in Physics form the University of Bristol (UK). After initial training in the sciences he worked for 3 years for an innovative and world renowned firm of building services engineers in London, UK. As an engineer he developed the creative designs for many projects throughout the world, including Europe, Australia and North America. He specialized in sustainable design and environmental engineering and has been involved in projects to a total value of approximately $700m (CAN) worldwide. Miao Song’s PhD research involves a mix of interactive environments, cinema and documentaries, 3D computer graphics and realistic physical based simulation, and haptic responsive environments. 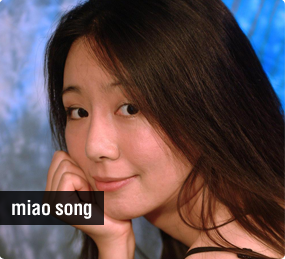 Miao has completed her first Bachelor’s degree in Performance Arts and Direction in China. While in China, Ms. Song has worked in the Central Television Station as a TV director and journalist. Miao got the second Bachelor’s degree in Computer Science, Concordia University, Montreal, Canada, and her Master’s of Computer Science degree also at Concordia concentrated in interactive real-time softbody simulation. Miao worked on the design, planning, and development of a number of educational games with animation and video for primary school students while working at the Concordia University Native Access to Engineering Program (NAEP) and the Center for the Study of Learning and Performance (CSLP), also at Concordia. 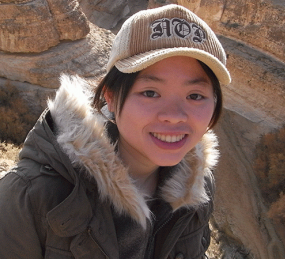 Currently, Miao has been awarded FQRSC scholarship for her PhD study from year of 2009 to 2012. 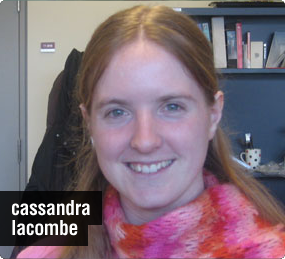 She also works as a teaching assistant at Concordia, and research assistant at Concordia and Mcgill University. During his studies in Electrical and Computer Engineering, he has developed strong skills and knowledge in programming and designing software systems. His experience as a volunteer in various European student organizations made him aware of the cultural diversity and the wealth of different perspectives in research and learning. His participation to several collaborative projects as well as many student and artistic groups cultivated a truly collaborative perspective and the understanding of common interest. His former research experience is in the fields of nature language processing and semantics. He is currently looking at expanding his knowledge in the fields of interactive media art and developing installations at an international multicultural level. Master Student in Computer Science. 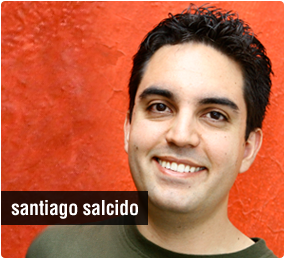 Santiago graduated with a Bachelor Degree in Design for Graphic Communication at University of Guadalajara, in Mexico, where he worked as the Design Manager of La gaceta, University’s official newspaper. He also taught and created the course Editorial Design at the Journalism Program. He is a member of the editorial board for the Design Magazine Quadra. His former experience includes print and web design work for clients such as Les Affaires newspaper, Le Groupe Flexidee and The Lacava Design Studio. He is currently exploring document design of textbooks and e-books, and its influence on the learning process. I am a graduate student, pursuing my Masters in Engineering in Information Systems Security at Concordia University. I have successfully completed my Bachelor’s in Engineering in Computer Science from Mumbai University, India. My romance with Computers started in my childhood wherein I was engrossed in Computer games and was very much fascinated by the technologies behind it. Therefore, I decided to explore this Digital world and hence opted for Computer Engineering for my under-graduation and Information Systems Security for my graduation. My topics of interest include System Security, Software Development & Designing, and Cloud Computing. 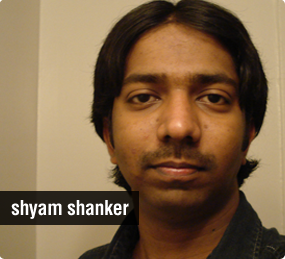 Shyam is currently a Masters Student in Electrical & Computer Engineering at Concordia University, Montreal. His fields of interests are Robotics, Virtual Reality, Artificial Intelligence, Control Systems, Haptic devices and Embedded Systems. He has published 8 research papers in International Journals & Conference Proceedings and holds a patent for one of his works. He is also interested in Art works related to these fields. Shyam also volunteers at Montreal Association for Blinds(MAB Mackay Rehabilitation centre). He currently works as a Research Assistant in A-Lab, TAG LAB and OBX LAB as a programmer in Concordia University, Montreal. Thibaut fait son entrée dans le monde de l’art comme musicien. De formation classique au conservatoire, il se dirige bientôt vers des horizons plus contemporains et électroacoustiques. Titulaire d’un baccalauréat scientifique spécialisé en maths et en cinéma audiovisuel, il étudie ensuite l’informatique et la programmation en imagerie numérique à l’IUT de Clermont Ferrand en France. En 2002, il rentre à l’Ecole Supérieure de l’Image à Poitiers, institution des beaux-arts axé e sur le développement des pratiques numériques dans l’art contemporain. 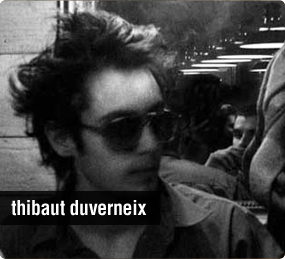 Il obtient son DNAP (diplôme national d’art plastique) communication en 2005 avec les félicitations du jury. Son travail est basé sur une pratique très large, allant de la photo au développement d’applications interactives, en passant par la vidéo, la composition électroacoustique ou encore des œuvres en lignes. Diplômé en 2006 du Graduate Certificate: Digital Technologies in Design Art Practice à l’université Concordia, il est actuellement assistant de recherches en charge de la réalisation audio, photo et vidéo pour les studios MDCN et OBX, au sein de l’Institut de recherche Hexagram. Treva Pullen is an interdisciplinary researcher, curator and artist from Toronto currently based in Montreal. Her research explores the playful and agentic capacities of media art through the lens of ‘whimsical bodies’; a term she uses as an evocative metaphor for the lively, humorous and often reciprocally engaging nature of media art objects. 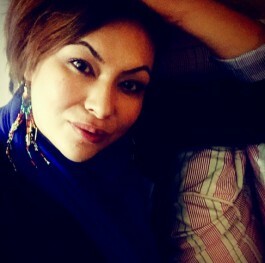 Her writings have been published in JAWS and AlterNative: An International Journal of Indigenous Peoples. She has also curated new media based exhibitions such as #NATURE (2016) and Influenc(Ed.) Machines at OCAD University. Pullen is a PhD candidate in Communication Studies at Concordia and holds an MA from OCAD University in Contemporary Art, Design and New Media Art Histories, with a focus in new media, and a BFA from OCAD University majoring in Criticism and Curatorial Practice with a studio minor. Her recently published Master’s Thesis “Whimsical Bodies: Agency and Playfulness in Robotic Art” won OCAD University’s Outstanding Thesis Award in 2016. 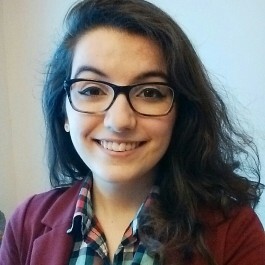 Alexandria Alcancia-Shaw is majoring in Computation Arts and Computer Science at Concordia University. She's interested in User Interface design and User Experience design. Andrew Lunga is an International Student from Zimbabwe. 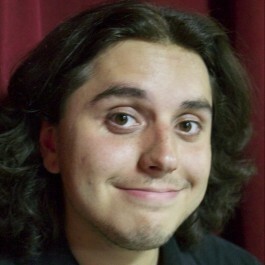 He currently in the last year of his Major in Film Animation and Minor in Computation Arts at Concordia University. He has spent the last 4 years specializing in 3D design and digital video creation. His passion is 3D modeling, Matte Painting, Animating and Compositing. 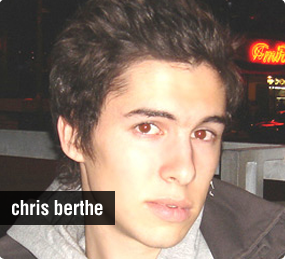 He is currently one of the Animators working on both the Skins and TimeTraveller™ projects at OBX labs. 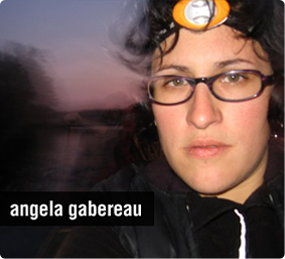 Angela Gabereau is majoring in Computaional Arts and Computer Science at Concordia University, Montreal, Quebec. Her areas of interest include fine arts, aesthetic programming, AI, cognitive science, mathematics, philosophy, philosophy of science, feminism, feminist science studies, post-colonial theory, science fiction and gong-fu. Ania is currently completing her final year of English Literature at Concordia University. 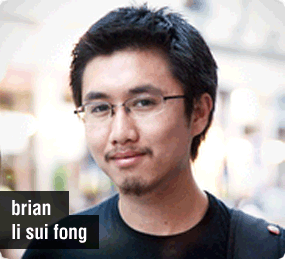 Brian is a multi-disciplinary designer graduating from the Design program at Concordia. Born and raised in Mauritius Island, he loves experimenting with techniques, while granting much attention to the concept and refining the details. Writing in the third person makes him want to stop right there and go back to work on his projects, which usually range from graphic/print/web design, illustration, 3d modelling and animation, video, etc… He has works published in Communication Arts Typography Annual, exhibited at FOFA Gallery, Les Territoires gallery, Art Mûr gallery. Check his website and feel free to contact him if you would like to know more. 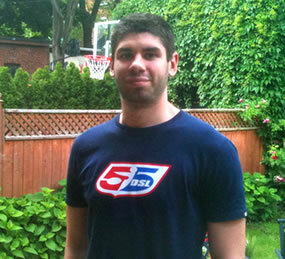 Bronson Zgeb started his career as a web developer for a Montreal startup. 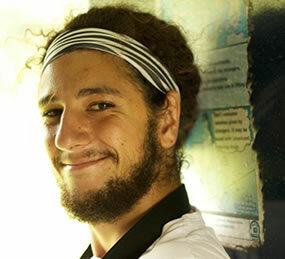 After becoming disinterested in his work, he left his job to explore new frontiers by studying at Concordia University. Always seeking to push his limits, he began developing mobile applications for various clients while pursuing his studies. 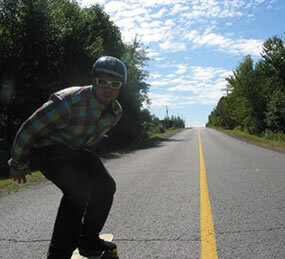 Towards the end of his Bachelor’s degree, Bronson completed an internship at one of Montreal’s largest independent game developers. Recently, he co-founded KO-OP Mode, a studio focused on making games while collaborating with passionate individuals. Bronson is an avid learner. He voraciously consumes new challenges to nourish his skills and abilities. He’s well-versed in several programming languages, and at any given moment he’s obsessing over a new language which has piqued his interest. I am a 3rd year student in the major of Computation Arts at Concordia University. I like to have a broad knowledge in many spheres of computer science and computation arts. As the media invades more and more our daily lives, I would like to ride the wave and be part of what the future will become. So far, I am still in the exploration of the possibilities that this field has to offer. Yet, I would like to take advantage of the interactive part of the new technologies. Thus, my goal would be to work in the video game industry. I am presently completing my undergraduate studies, majoring in design and minoring in computation arts. I am interested in constantly exploring the areas of design in relation to other fields especially computation. I am on a constant quest to further push the limits of my conceptual and practical expertise in order to better embrace our quickly evolving technological world. As a critical thinker and advocate of sustainable practices, I always seek to take into consideration the sustainable implications, and thrives to achieve a sustainable practice that often challenges the status quo, throughout my projects and my everyday life. Charlotte is in her third year studying a specialization in Computation Arts, and a minor in Music. As a transfer student from the Studio Arts program at Concordia, most of her training is in the realm of tangible media, painting and drawing being her specialty. Since entering the Computation Arts program, the 3D world has become her new passion. A 3D modeler and texturer, her main interest is in games, believing it is an area in which art does not receive adequate recognition from the art world, as it is still being shunned by many highbrow organisations. Chris Drogaris has completed a DEC in Computer Science and is currently studying in his third year at Concordia University in Computation Arts. 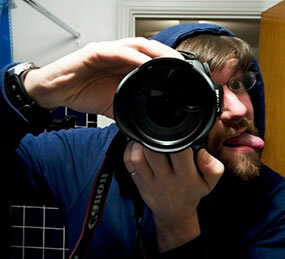 His area of interests include web, programming, video games, design, photography and video. Chris specializes in web development and is currently working for Obx Labs and freelancing under the company Diga Design. 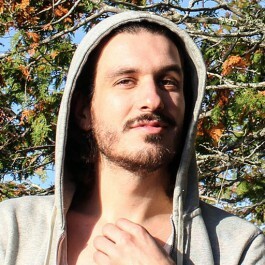 Christian Gratton is currently studying in his second year at Concordia University specializing in Computation Arts. As a programmer his main interests are in creating games and educational applications for the iOS platform. Christina Biron is from the Cree Nation of Wemindji, a northern community situated on the coast of James Bay. 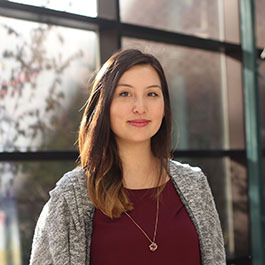 Currently specializing in Human Relations at Concordia university She believes in focusing her energy "upstream" when it comes to working with aboriginal populations. Her work involves mobilizing collaborative efforts to examine and implement actions towards key determinants of health in the context of community development. 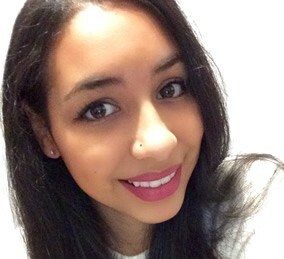 New to the creative scene at AbTeC her interest is drawn to its innovative initiative to combine visual media arts to the preservation of indigenous culture. Claudine Lamothe is a second year Computational Arts student. She loves electronics and programming, and most of her projects involve integrating technology into other media. 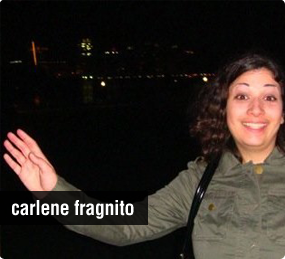 To pay the bills, Claudine makes interactive lighting at Eski, and does freelance web design. Clément Liu is an illustrator and designer and currently completing his BFA in Computation arts at Concordia University. He is the Creative Director at the award winning The Link Newspaper. David Bouchard is graduating from an intensive program in Computer Science with a focus on Digital Image, Sound and the Fine Arts. 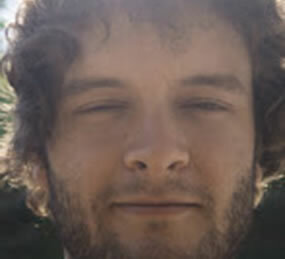 He is an emergent new media artist, having used his studies to develop and create a number of interactive works that use computation as a creative material. His interactive installation, The Dandelion Field, will go on exhibition this September at CAFKA 04 in Kitchener, Ontario. David Somiah Clark is a Montréal based musician and emergent media artist with a professional background in audiovisual systems integration. Working as a consultant, David has designed solutions for clients including the Canadian Space Agency and CAE Healthcare. 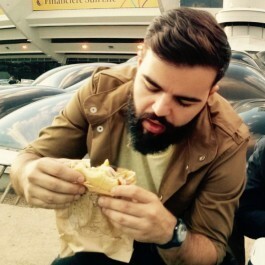 His compositional work can be heard in his collaboration with Montréal’s Pang Attack. Currently completing his B.F.A. in Computation Arts at Concordia University, David's research involves exploring the ways in which technologically mediated communication my confuse arbitrary boundaries between living and non-living systems and enrich our ecological experience. 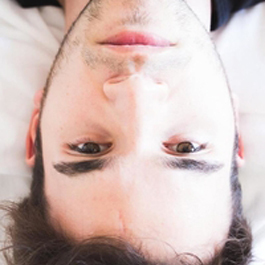 David will be commencing a Master of Design at Concordia in September, 2016. Je m’appelle David Mongeau-Petitpas et je m’amuse avec l’Internet. Je suis développeur/associé chez Folklore et étudiant en Computation Arts à Concordia. On m’a décrit comme étant brutal dans mon approche avec les ordinateurs, en amont et frisé. Eileen Peng is a third year student at Concordia University, majoring in Film Animation. 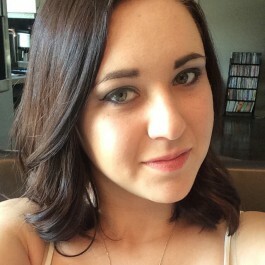 As an aspiring 3D artist and animator, she is passionately pursuing the fields of game and film productions. 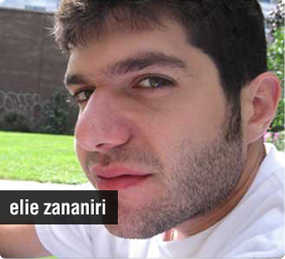 Elie Zananiri graduated from Concordia University with a major in Computer Science/Computation Arts and a minor in Mathematics & Statistics. His first passion is traditional stop-motion animation, but he can’t seem to stay away from computers and micro-controllers. His current research interests consist of combining all three domains through interactive video installations and unorthodox data visualizations. His films have been screened in North America at various festivals such as Fantasia, Spasm, and TromaDance. 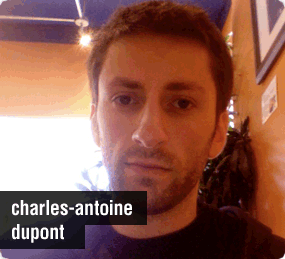 His new media projects have been presented at the SoukMachines festival and Dorkbot-Montreal symposiums. 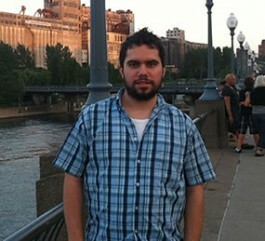 Elie currently works at Obx Labs as the lead developer on Citywide and NextText for Processing. 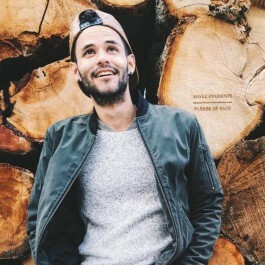 Elio is currently pursuing a Bachelor of Computer Science with a Major in Digital Image and Sound from Concordia University. Elio has worked with New Media technologies since the mid 1990′s, he is now focused on the manipulation and analyzation of “sound” within the public space. In the Spring of 2004 Elio developed a prototype “Vigilare”, utilizing both artistic and computation concepts to address “sound” in the public space. Erica is a third year Undergraduate Student specializing in Computation Arts at Concordia University. She has a DEC in Publication Design and Hypermedia Technology from John Abbott College which sparked her interest in Web Design and Programming. Erica is currently exploring new branches of digital and electronic arts like 3D Modeling, Animation and Tangible Medias. Born 1981. Live in Saudi Arabia until he was 14. Went to high School in Athens, Greece. Received a Specialization in Digital Image and Sound from Concordia University in Srping of 2004. Currently working, preparing for a masters degree in the Fall of 2004. As a graduate from Concordia University’s design program, Frédéric has gained a broad perspective of the design world. Although his technical expertise lies in graphic arts and illustration he hopes to express his creative practice through all the different facets of this field. This is made obvious in his involvement in a large variety of different projects which include motion design, web design, new media projects, and tactile design. Being a designer, Gabriel's practice focuses on creating memorable visual experiences through different means. Whether it is a pamphlet, a video or a tangible product, he wants the audience to feel, to remember and to appreciate the beauty of every work he designs. His vision is to take care of the user experience, the functionality of the product and the environment where the product is being handled. Those are key aspects for the product to be remarkable and unforgettable. 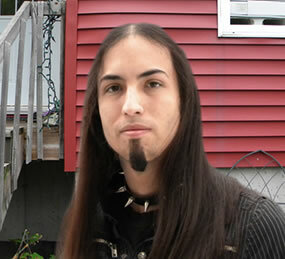 Gage K. Diabo is a Mohawk student from Kahnawake. 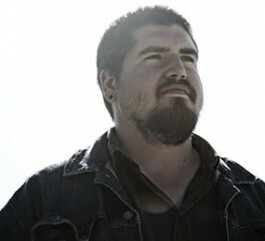 After dabbling in amateur film making throughout his youth, he made the transition to the professional sphere as a third assistant director on the set of APTN’s fiction television series, Mohawk Girls, and as an associate producer on Roxann Whitebean's short films, Legend of the Storm and The Paradigm. He is also an aspiring novelist, having written three unpublished novels by the age of 20. As a classically-trained pianist and stage director, he has worked extensively in the local music and performing arts community. He will be beginning his MA in First Peoples Literatures at Concordia University in the fall. 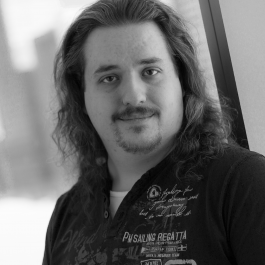 Hugues hybrid designer, programmer and technologist was born in Avignon, France. He holds an undergraduate degree in Electronic Technology and Industrial Computing from the University of Science in Montpellier, France. He has worked for several years as an application developer, print stream specialist and customer support manager for an ADF (Automated Document Factory) specialized company. Since the early 90s, he has been fascinated by digital media. 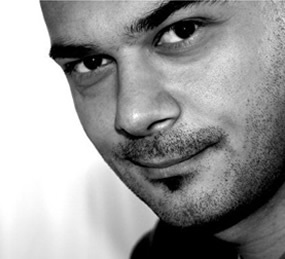 In 2004, he left his job to immerse himself in his passion – graphic design and interaction design. 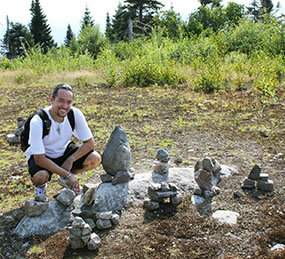 Hugues is currently completing a BFA in Computation Arts at Concordia University, where he is exploring the medium of Technology. 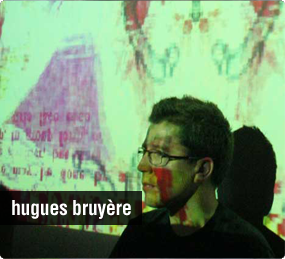 Hugues’ explorations into art and technology are pushing him to create media art projects involving data visualizations, computer vision, and human-computer-human interactions. Ian Arawjo is a 19-year-old game designer, programmer, artist, and idling physicist. He has been to over 25 countries, and created two complete fictional universes, Karma Phala and Glitchman, both of which he is in the process of bringing to the world. His first game, ‘Kale In Dinoland’, was just featured by Apple on the App Store. He wishes he could just read physics textbooks all day, but sadly, he can’t. 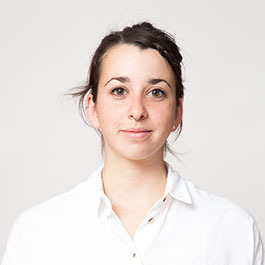 Jasmine is a professional 3D animator from Montreal, training in 2D animation as well at Concordia University. She currently works on indie videogames. 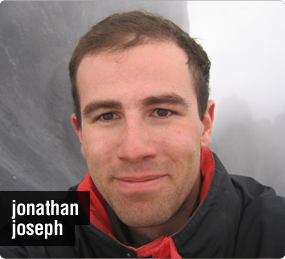 Jonathan graduated from the double major in DFAR and Computer Science in 2003. His principal contribution to OBX Labs is the ActiveText code that allows combining soft-type behaviours together, which he programmed shortly after graduation. He is now employed as a lead programmer with video game developer Artificial Mind and Movement. His interests include language, mythical archetypes, human relationships, humor, and mysticism. 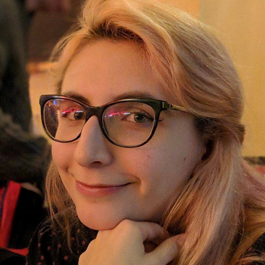 Originally from Boston, Julia Wolfe is an illustrator, designer and programmer currently in her final year at Concordia studying Computation Arts. She is also the Editor-in-Chief of the award-winning student newspaper, The Link. 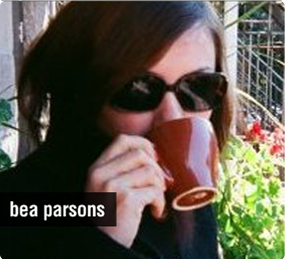 She specializes in design, creative interactivity and copy editing. 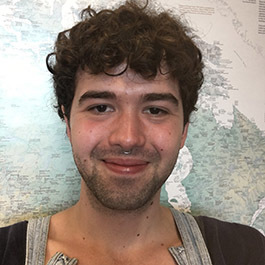 Julian is currently completing his undergraduate studies in Computation Arts at Concordia University and has a DEC in Architecural Technology from Vanier Cegep. He specializes in 3D modeling for game and animation and has an interest in programming. Julian is always striving to improve himself and learn from any and all fields of his endeavors, be it professional or personal. As an artist, he loves challenging himself in order to learn from his mistakes and revel in his accomplishments. Katia Minarikova is a digital enthusiast who wears pink eyeglasses and eats databases for breakfast. She founded Echo-Stream in 2002 followed by PixelWarehouse in 2004, both companies specializing in high end web technologies, multimedia design and business solutions for the commercial sector. Echo-Stream has received numerous awards and grants including the Excellence Certificat from the Quebec Entrepreneurship Contest, Montreal Mayor’s Foundation for Youth and SAJE. 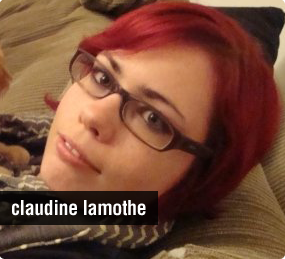 She is currently working as a programmer analyst for Montreal’s high profile production studio BlueSponge. 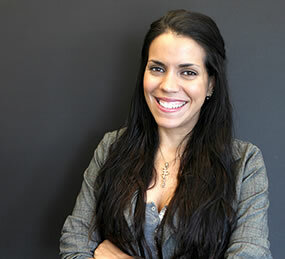 In September, Katia is commencing her MBA at the HEC. 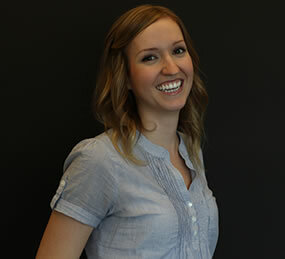 Laura Sirois is designer, artist and 2012 graduate of Concordia University’s Design Art Program. Working mainly in graphic design, she engages with many mediums and creative projects, from hands-on drawing, painting and woodworking to 3D modelling and digital image-making. Her artwork explores the changing nature of public and private alongside technological innovation, by utilizing performance, web-presence and printed image. She has worked as a designer for DW product development Inc, as a design intern for Obx Labs, and as an educator at the National Gallery and the Canada Agriculture museum. She is currently keeping shop at Fait Ici boutique and facilitating art workshops at Nazareth House. Lianne is graduate of the Interactive Media Arts program at Dawson College and is currently enrolled in the Computation Arts program at Concordia University. She is interested in Video Game Design, 3D animation, and Graphic Design. Lianne is a dependable, organized person and is always willing to lend her assistance where needed, no matter the challenge. Lucie graduated from Computer Science at Concordia University. Her scientific education and her interest for computation arts brought her to experiment the blurry boundary between art and technology. Her main interest lies in exploring and experimenting the relations between humans and machines. Her work combines software and electronics into immersive installations, interactive video, interactive electronic sculptures and experimental interfaces. 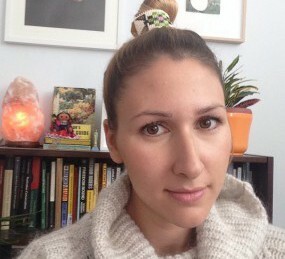 She started a Master’s degree at Université de Montréal in which she studies computer vision and its applications in immersive environments and interactive interfaces. A Montrealer with a love for Rock’nRoll, the German language and most importantly images wether they be moving or still. 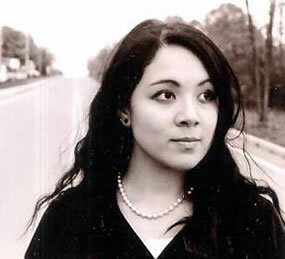 Her work includes drawing, graphic and Web design, computation, typography and bookmaking. In the fall of 2006 she will leave Canada for Germany a second time to study at the Bauhaus-Weimar Universität before returning to Montreal to finish a BFA at Concordia University. Magalie Coulombe-Noel is a Computation Arts specialization student in second year. She also studie at “École Supérieur De Mode” (UQAM) in fashion design (B.A.C). Her interest in wearable and the knowledge she got from her studies in fashion design (D.E.C) and graphic design (A.E.C) push her to explore creation possibilities given by Mr.Softie in textile projects. 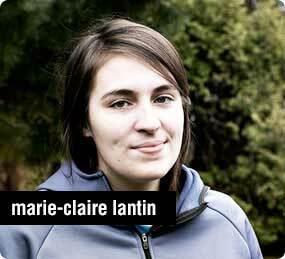 Marie-Claire is currently studying in her second year at Concordia University (major in Intermedia/Cyberarts, minor in Computation arts). Previously, she obtained a DEC in photography. Her work fluctuates mainly between video, print media and photography. Maroussia was born with a built-in espresso addiction. She holds a BFA in Computation Arts from Concordia University. Her curriculum is oriented towards exploring new social configurations through technologies. She worked in grassroots organisations in Canada and Brazil and is motivated by the potential of subcultures as social emancipators. 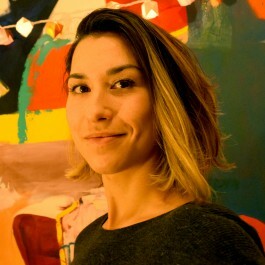 She is the recipient of the F. P. Higgins bursary, and won the first prize of Jeunes Critiques en Arts Visuels and the Computation Arts proze. 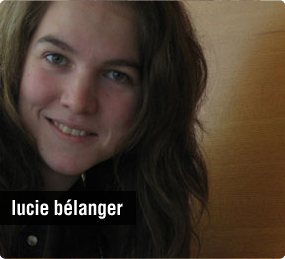 Her work has been published in Le Devoir. 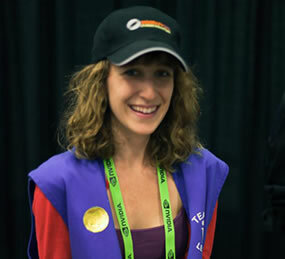 She joined Obx studios in 2005, and is currently the conceptual lead. maroussia is learning her fifth language, and counting. 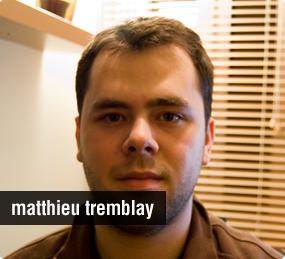 Matthieu Tremblay is a Computation Arts major in his third year. 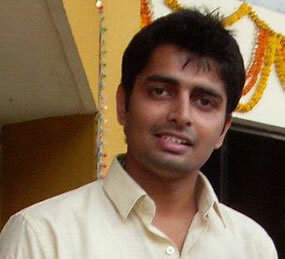 He has a background in software engineering and is a freelance web designer. His areas of interest include web programming, music, typography, photography, physical computing, installation art, and architecture. In his free time he reads science-fiction novels and likes to rock out in rhythm video games. 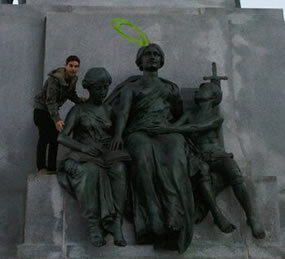 Max Young is currently in his fourth year at Concordia University with a major in Design and minor in Art History. He specializes in branding, layout and packaging design. Megan, an artist and art educator from the Mohawk Nation of Kahnawake, is in her third year of the Art Education Specialization at Concordia University. Her growing curriculum, consisting of multimedia visual art and exploratory media, is presented as teaching tools that address issues of Indigenous rights, cultural traditions, and hybrid identities. Michael is a multimedia developer, designer and photographer pursuing a BFA in Computation Arts at Concordia University. His interest in the new led him to web design and development, where novel tech is always easy to find. In his personal artistic practice, the distillation of art media into its reproducible or essential core, to the end of creating generators for it, is of great interest to him. In his spare time he's often found tinkering on a litany of little hardware or software side projects. 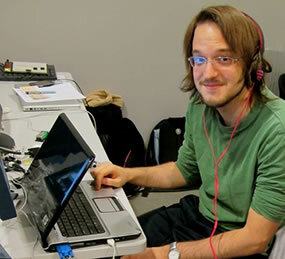 Mike is currently completing his BA in the Digital Image & Sound Speciaization program at Concordia. His areas of intrest are focused in Type and Narrative, where each have been studied and re-interpreted from their traditional qualities into the digital medium. Respect to the traditional qualities of Art & Design, particularily the Modernist era, are influential in his aproach. Stylistic influences can be found in the contemporary arts of animation and graffitti. Prior to attending Concordia, Mike studied Technical Illustration & Animation at Seneca Arts College at York University Toronto. 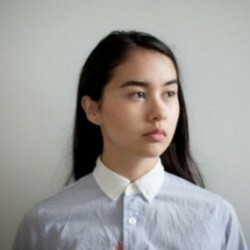 Milin Li is currently enrolled Computation Art at Concordia University. She has completed an AEC in Multimedia from Inter-Dec College and has worked as a graphic designer since then. 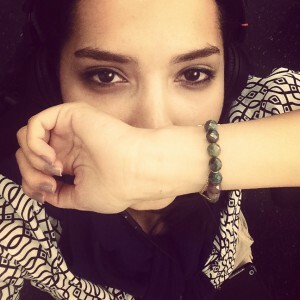 She enjoys traveling the world to discover new inspirations and to meet new people. Living in various countries and learning the different cultures has helped broaden her thinking and given her many inspirations. 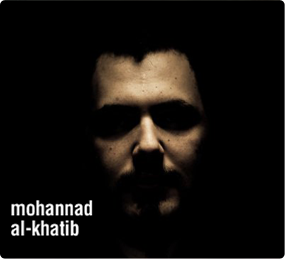 Mohannad is in his final year of Computation Arts at Concordia University. His passion is 3D creature development. Over the past few years he has worked on a variety of gaming projects as a modeler, digital sculptor, and texture artist. Mohannad grew up in Saudi Arabia where Art is highly unappreciated; however, this fact allowed him to independently develop his own unique style which is visible throughout his work. 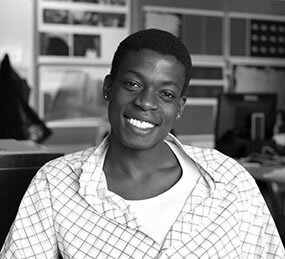 Naïade is currently enrolled in the Computation Arts program at Concordia University, with a previous diploma in Advertising from Université de Montreal. She has been experimenting with visual arts, programming and electronics in the last couple of years. My name is Nather Aylomen. I enjoy 3D modeling and texturing. I hope to have an independant game company one day as long as I can find people who will enjoy working with me and probably working free for a while, unless we could get some kind of funding of course. I’ve just recently taken Computation arts in Processing (Cart 253) in the fall at Concordia University. Just to see a glimpse of what Programming would be like. I also like making some music as well, and playing/editing with Photoshop. The main kind of art style I really enjoy is Futuristic like Tron/Mass Effect/Star Wars. If I could somehow combine all of them together and make my own clothes, that would be amazing. Nicole Lin has just started her first year in Computation Arts at Concordia University. She is interested in video game development, programming, and digital art and is excited to explore new mediums during her studies at Concordia. 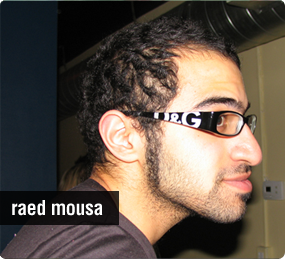 While completing his degree in Computational Arts at the University of Concordia, Raed was the designer for Obx Labs. His interest lies within the possibilities to cross the boundaries between uncommon media. Raed has a background in the classic arts of painting, drawing and sculpture, but also a passion for industrial, graphic and fashion design. Recent projects include “responsive furry creation” that emanate purring sounds or nervous actions, and grand performances involving food and human bonding. Raed enjoys exploring themes that relate to childhood, nostalgia, and human interaction through different societies and through growth. He is a gentle artist with a strong conviction, love and him, and he will love you. Ralph is a second year Computation Arts student. After earning a Marketing Bachelor from JMSB, and working in the field for two years he decided to pursue his longing passion for the arts and technology. He is now focusing on Game design and development, while sharpening his 3D skills, and pursuing his newly found passion for programming. The next step for him is a combination of his current bachelor with Computer Science to earn a double major. Roxanne Sirois is a Montreal based artist and an undergraduate student within the Bachelor of Fine Arts who is pursuing a double major in Painting and Drawing as well as Computation Arts. 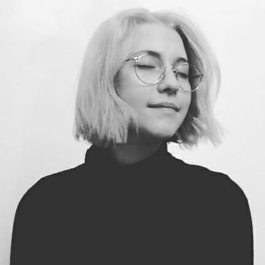 Since the start of her degree, Roxanne has been passionate about experimental aesthetics and has explored a wide range of multidisciplinary art forms such as studio arts, photography, 3D, game aesthetics, and user interfaces, amongst many others. 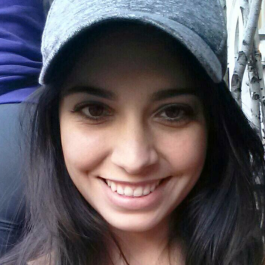 Currently, Roxanne is focusing on expanding her skills within the game industry. Roxwel Ruiz is a Computer Science graduate from Vanier College, and has recently fulfilled his credit requirements for his degree in Computation Arts at Concordia University. His main interests include programming, drawing, and 3d modeling. 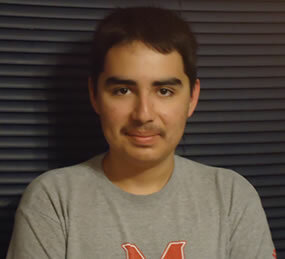 Roxwel’s main area of expertise is programming, but he also has interest in drawing, 3D modeling, and game development. 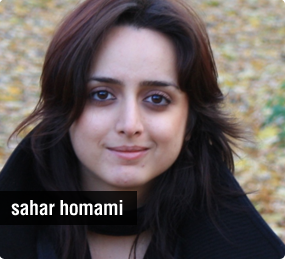 Sahar Homami is currently in her last year of Computation Arts at Concordia University. She has spent the last 2 years specializing in 3D design and digital video creation. 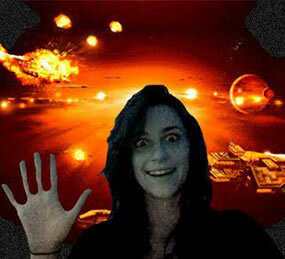 Her passion is 3D modeling, texturing, animating and post production. Currently she is participating in a number of projects to create video games and digital videos, out of which one is the TimeTraveller™ project at OBX labs. 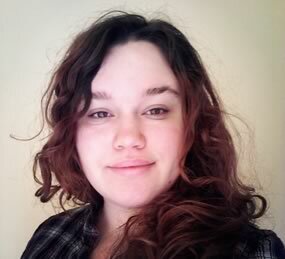 Sarah Lauzon is a graduate from Interactive Media Arts at Dawson College, and currently an undergraduate student in the Computation Arts - Specialization at Concordia University. She's always had the desire to pursue many different areas of the arts, considering her extensive experience in set building, photography, modeling, light and sound design, and interactive art. Computation Arts has allowed her to further expand her knowledge and passion for combining physical and digital art in her works. Serge has a B.Eng. degree in computer engineering from École Polytechnique de Montréal. In the last years, while working on various projects as an embeded system and programming specialist, he began experimenting with photography, video, visual art and sound composition. 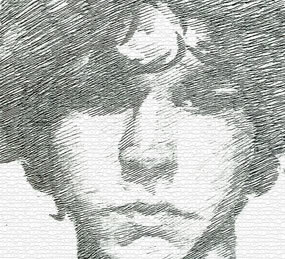 He is now studying at Concordia in Computation Arts, with the objective to merge his abilities to pursue new art experiments. 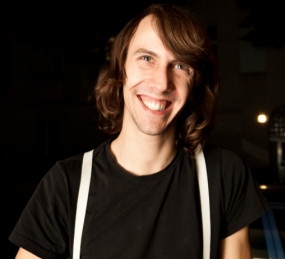 Simon-Albert is a Ubisoft Montreal expat who specializes in level design. 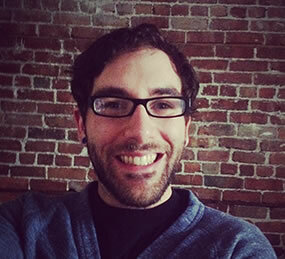 He's been teaching narrative design in the collegial sphere before joining Concordia as an undergrad in Computation Arts. When he's not buried under his ridiculous workload, he's usually seen at local gamedev events. Born in 1985 and raised in Mexico City, Tania combined a Fine Arts education with Design by studying in Vancouver, Mexico City, Sao Paulo, and Montreal. In 2009 she graduated with a BFA from Concordia University and in 2010 from a Postgraduate study in Typography in Barcelona. Her work with Obx Labs as an undergraduate student was focused on experimentation within type related projects. After working for two years in Spain as a graphic designer and illustrator, Tania returned to Mexico city to pursue an independent design practice. Tara Miller is an artist and animator from the Maliseet First Nation. She is trained in multiple art forms including painting, printmaking, and sculpture, and enjoys telling stories through her art, no matter the medium. She has studied and curated gallery exhibits for Indigenous art, a result of her passion for learning from and promoting modern Indigenous artists. Tara studies animation at Sheridan College with the goal of furthering herself as an animator and storyteller. 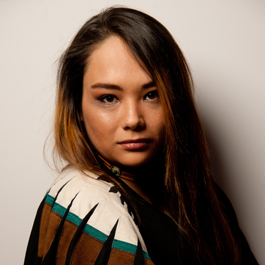 Tara leads the artwork and animation for Achimostawinan Games, a majority-Indigenous group dedicated to creating video games for Indigenous people by Indigenous people. Thahn Pham is a 2004 graduate of Concordia’s Design Art program with a minor in Digital Image/Sound and the Fine Arts. 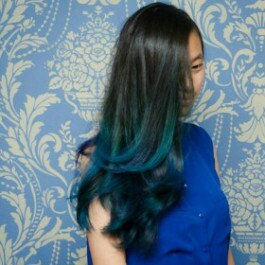 She specializes in web and print design with a special interest for the visual arts and cultural industries. Thanh’s work has been exhibited at the Belgo Building (Lotus Eaters Art Gallery), the Concordia Visual Arts Gallery, and the S.A.T. In Sept. she is starting a second degree in Computer Science at Concordia. 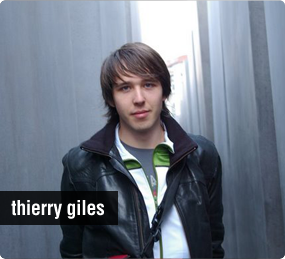 Completing a bachelor in Computation Arts at Concordia University in Montreal, Canada and a one year project in Media Architecture at Bauhaus University in Weimar, Germany, Thierry Giles found his privileged medium of expression in interactive design and game development. His research emphasizes non-traditional applications of digital technologies through developing awareness of personal narratives exchange in networked societies. His recent realizations encompass mobile technology street games, multi-touch collaborative interface and place-based social exchange as the basis for creating knowledge transfer and weaving individual’s memory. His work has been published at ACM multimedia, ICHIM and E-culture. Victor is a multidisciplinary designer and developer studying Computation Arts at Concordia University. Making use of combinations of varied sonic and visual products through interaction and behaviour, Victor aims to architect rich narratives discussing his philosophical interests and curiosities. 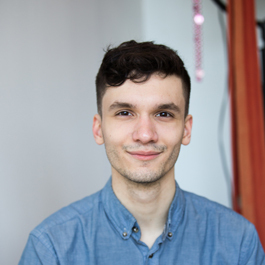 His experience with media production, covering audio production, 2D and 3D visual art, as well as web and game development, allow him to utilize a series of media as a means to craft universes that house these narratives. Vincent is a 3D artist living in Montreal. 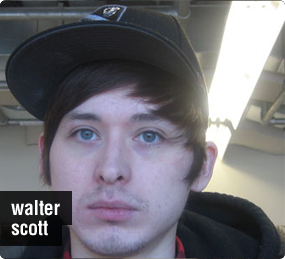 He is currently finishing a BFA at Concordia in Computation Arts after graduating with an AEC from Centre NAD in Special Effects for Film and Television. He specializes in 3D character animation and am interested in joining ambitious professional projects. Over the last three years he developed an interest in working on films and video games. He worked on several short films with various styles, ranging from cartoon to more life-like animations, but he is also proficient in modeling and shader creation. 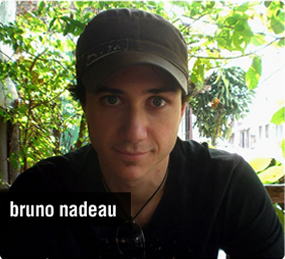 During his studies at Concordia, he was involved in the development of a fully 3D iPad game, of which he was responsible for the creation and animation of the main character. This project gave him his first look at video game design and development, and inspired he to do more. Team projects appeal to him particularly because of the knowledge sharing that is usually involved. Attending Concordia for a B.F.A in Studio Arts, with a special interest in Print Media. I’m a research assistant specializing in the graphic design. In my free time I enjoy making posters for punk/psych shows, and watching TMZ. 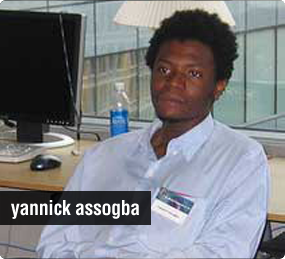 Yannick Assogba is about to complete his BSc in Computer Science with a minor in Computation Arts at Concordia University. He is currently exploring the permeable interfaces between science and art, creativity and technologies of expression. His interests include [inter]active art, electroacoustics, software development and the relationships between societies and technology.